Better than Tiger Stick, Mota Grip Stick, Pro Pine and others ..no mess, no stains just a great feeling when holding a bat. STICKER than pine tar WITH no mess! Improves bat grip & bat control! Trusted by Major League Ball Players. 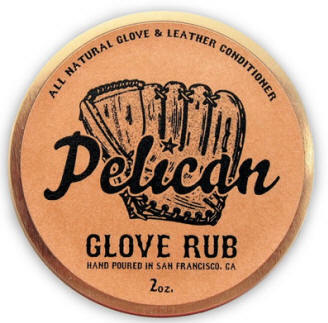 Pelican Bat Wax GIVES YOU A NON-SLIP GRIP EVEN WITH YOUR HARDEST SWING! The natural wood sap fills in the microscopic fiber matrix when dried causing a denser wood than maple, ash and birch. The beech bat surface will compressed with every hit and then rebound when the bat ball contact is made . Beech bats will have more flex allowing a stronger whipping action when hitting a baseball. A denser wood will vibrate less thus providing more ball bat explosion on contact. American Beech bats made here in America are always delivered freshly made. 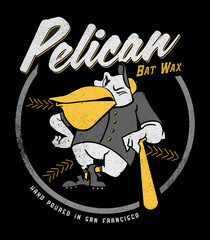 Pelican Bat Wax the revolutionary sports grip is the best for any baseball player serious about his game. It will enhance your confidence at the plate to give you that extra firm bat grip and control you need. It also allows players to feel comfortable using a relaxed grip on the bat which will help to improve your hitting mechanics. Your brain picks up bat angle and location through your hands why slow them down with batting gloves...just you, Pelican Bat Wax, and your bat. Are packed with 4oz. of powdered pine rosin. Great powdered grip enhancer for your throwing hand or the taper of your bat. 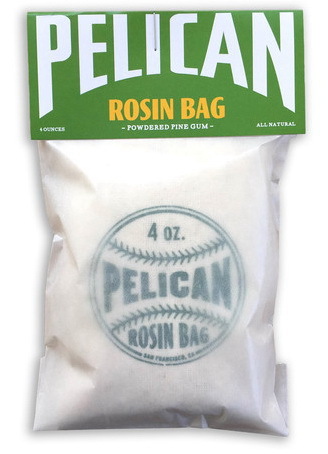 Experience a firm grip for all of your sporting needs with help from the Pelican Rosin Bag. The professional-style bag will give you the sturdy, non-slip grip you've been looking for no matter what the conditions. This product is the ultimate winner in dry grip enhancement. Is an all natural blend of almond oil, shea butter, beeswax, & lanolin. A little goes a long way with this nutrient rich formula. Apply and rub into glove until a consistent thin gloss is achieved. Don't over saturate. Is an all natural pine tar based grip enhancer that is formulated with 100% genuine pine tar. Our unique formula will provide the player with added tack and control while keeping the tradition of pine tar alive.